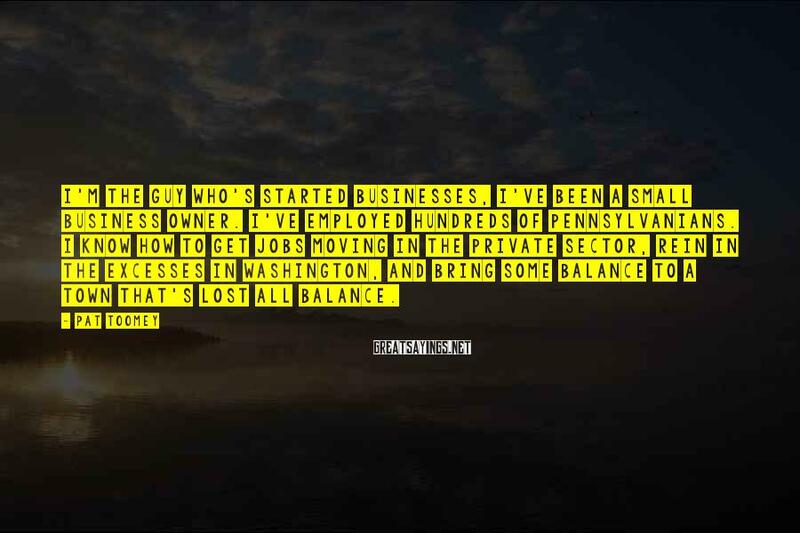 18 Pat Toomey Famous Sayings, Quotes and Quotation. 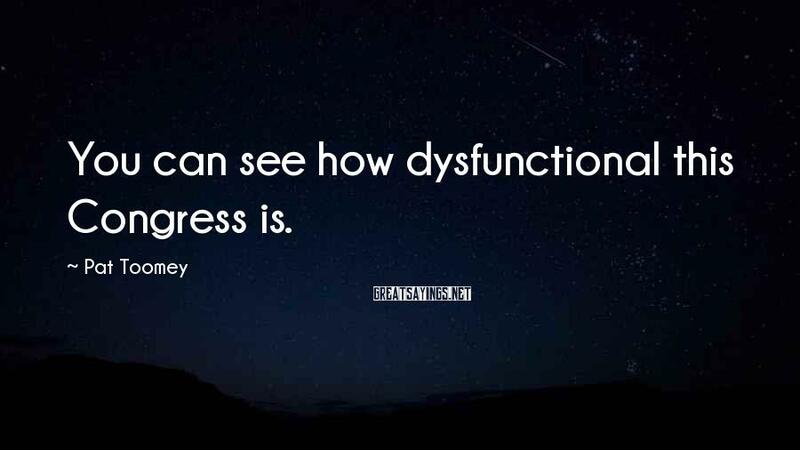 You can see how dysfunctional this Congress is. 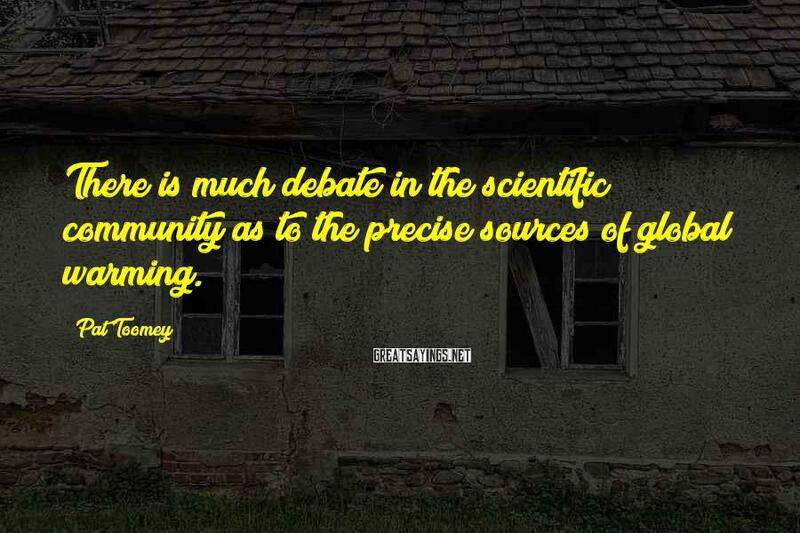 There is much debate in the scientific community as to the precise sources of global warming. After 2003, we lowered taxes across the board. 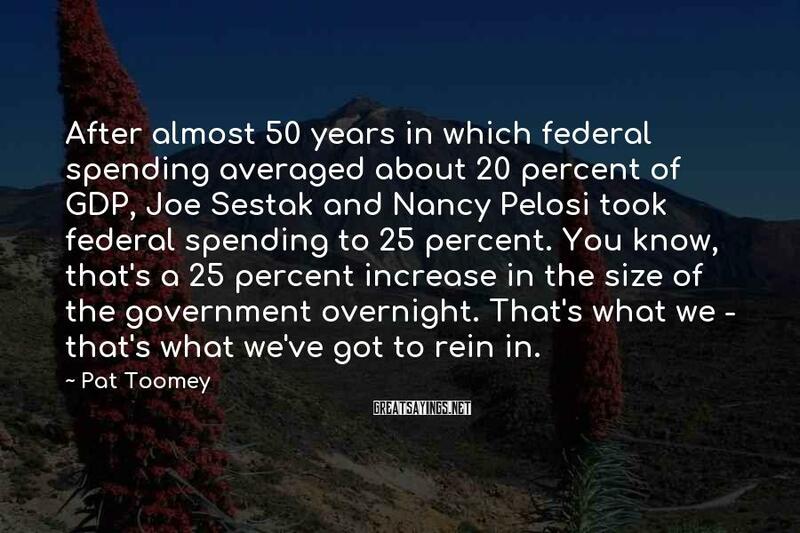 And by 2004, revenue to the federal government grew. In the 1980s, Ronald Reagan cut taxes dramatically. 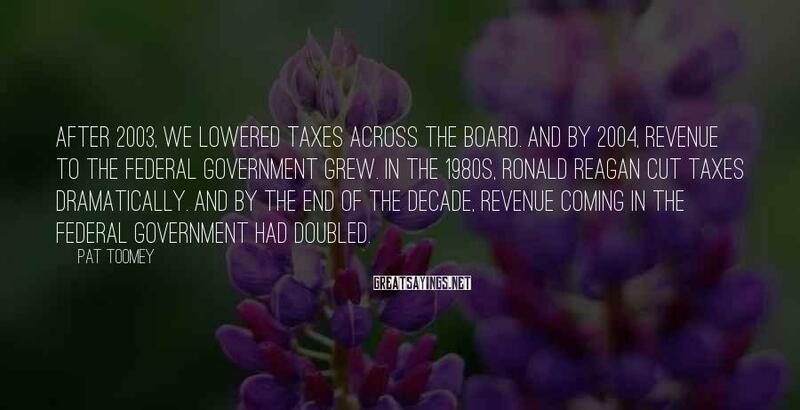 And by the end of the decade, revenue coming in the federal government had doubled. 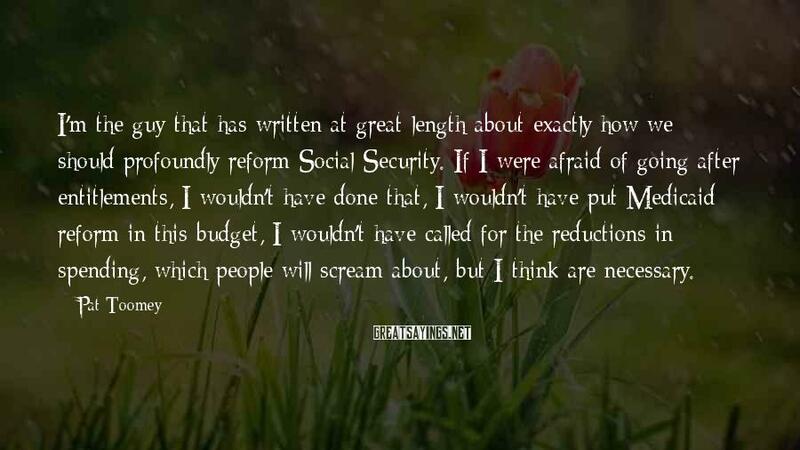 I'm the guy that has written at great length about exactly how we should profoundly reform Social Security. If I were afraid of going after entitlements, I wouldn't have done that, I wouldn't have put Medicaid reform in this budget, I wouldn't have called for the reductions in spending, which people will scream about, but I think are necessary. 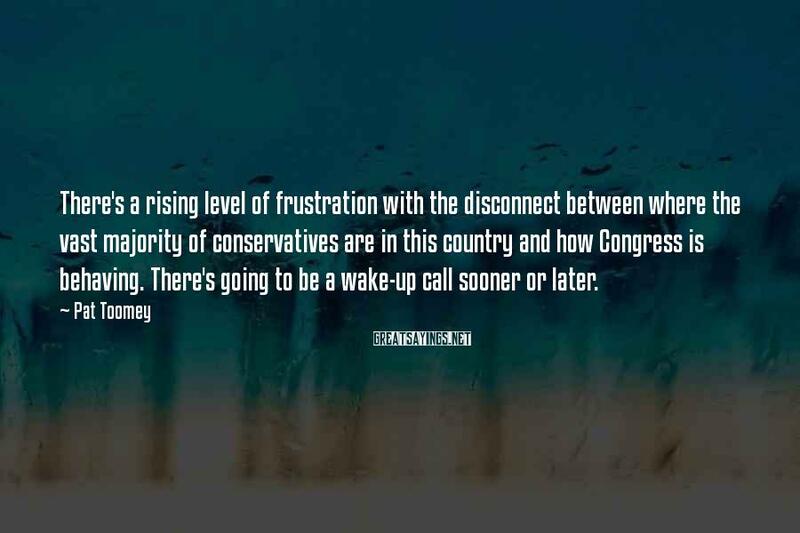 There's a rising level of frustration with the disconnect between where the vast majority of conservatives are in this country and how Congress is behaving. 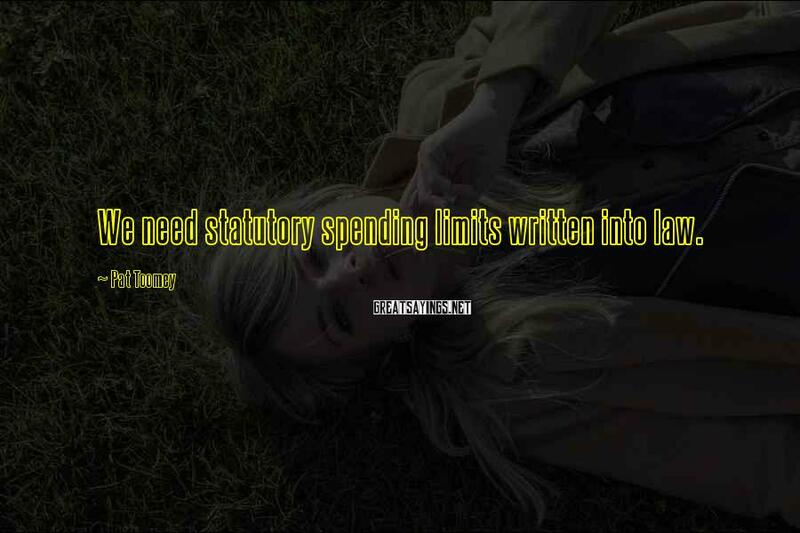 There's going to be a wake-up call sooner or later. 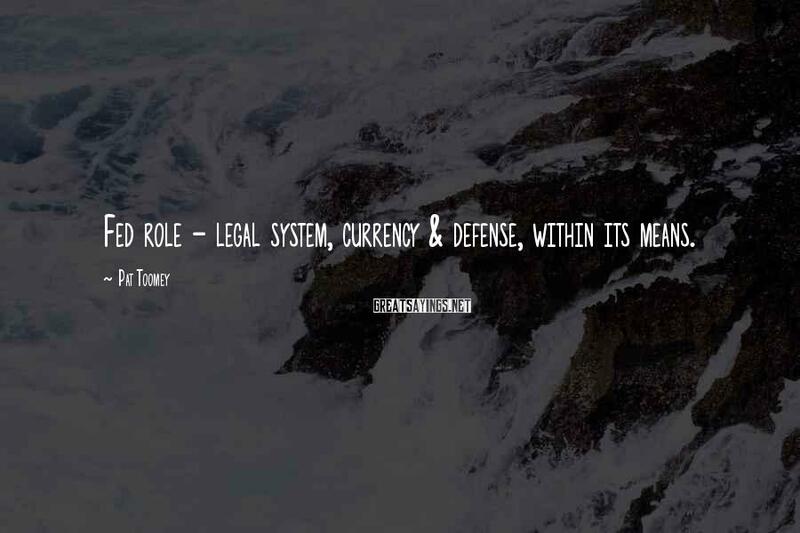 Fed role - legal system, currency & defense, within its means. 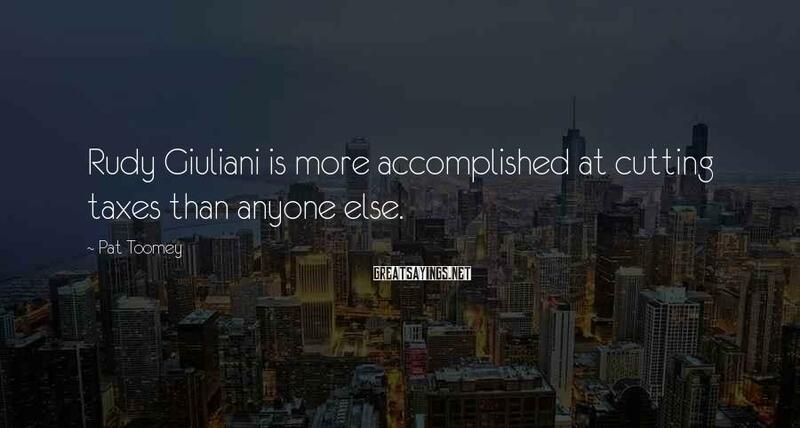 Rudy Giuliani is more accomplished at cutting taxes than anyone else. 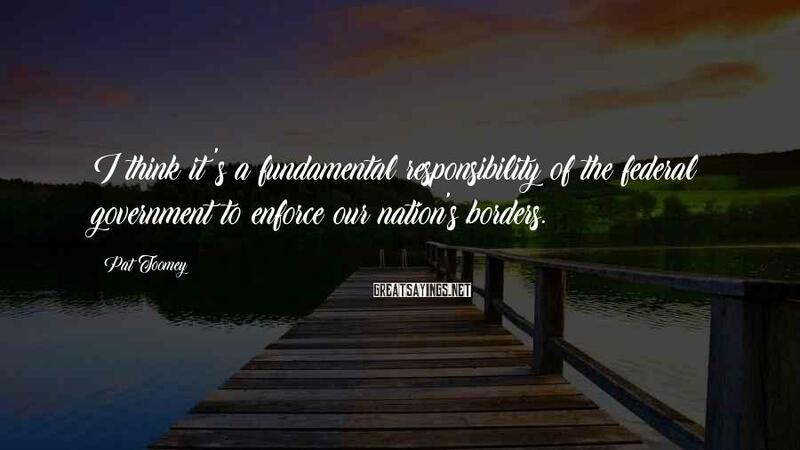 I think it's a fundamental responsibility of the federal government to enforce our nation's borders. 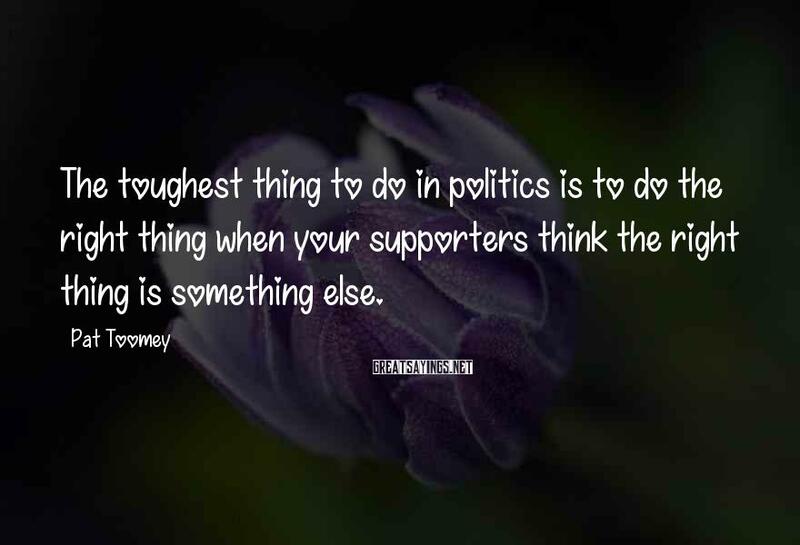 The toughest thing to do in politics is to do the right thing when your supporters think the right thing is something else. 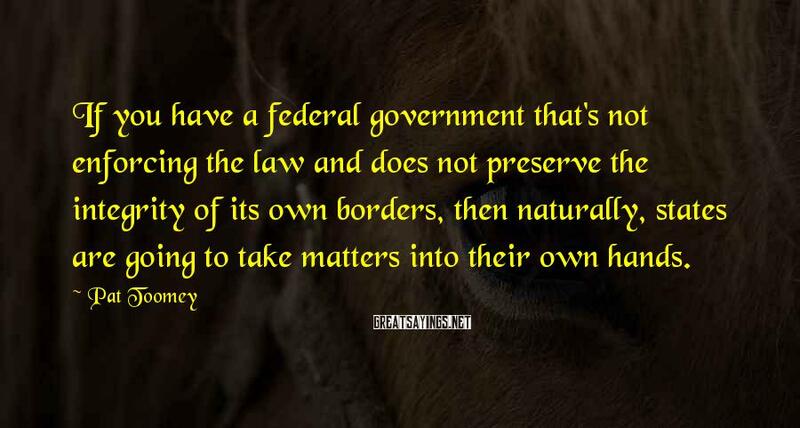 If you have a federal government that's not enforcing the law and does not preserve the integrity of its own borders, then naturally, states are going to take matters into their own hands. I think he intends to run for president ... 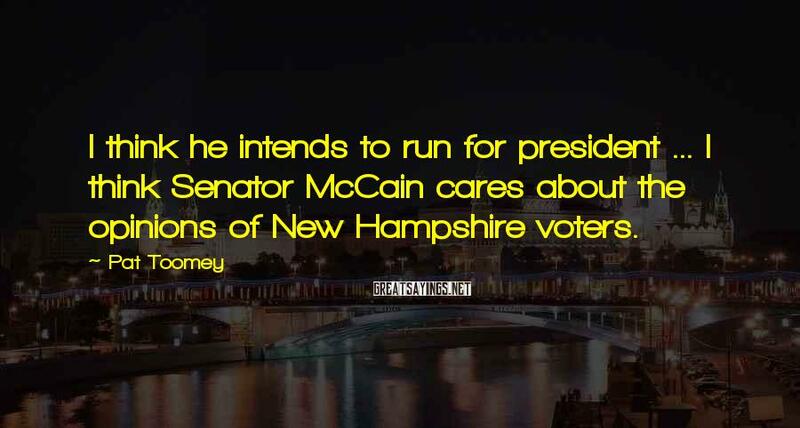 I think Senator McCain cares about the opinions of New Hampshire voters. 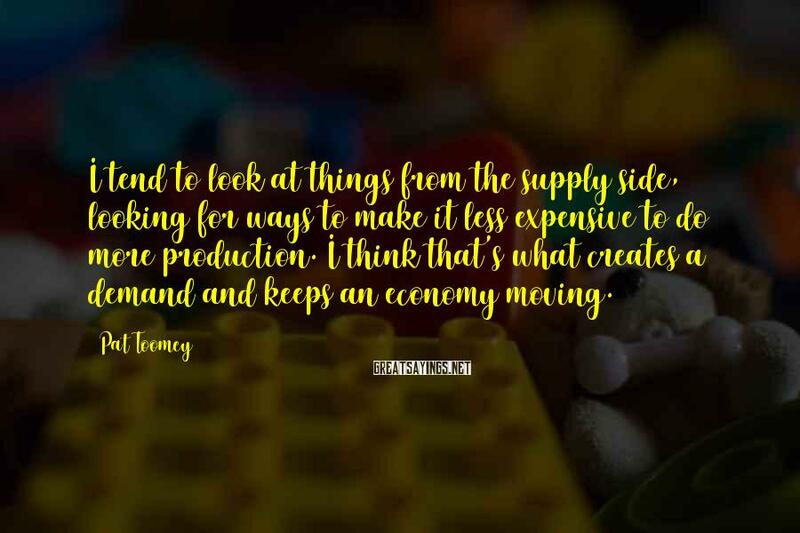 I tend to look at things from the supply side, looking for ways to make it less expensive to do more production. 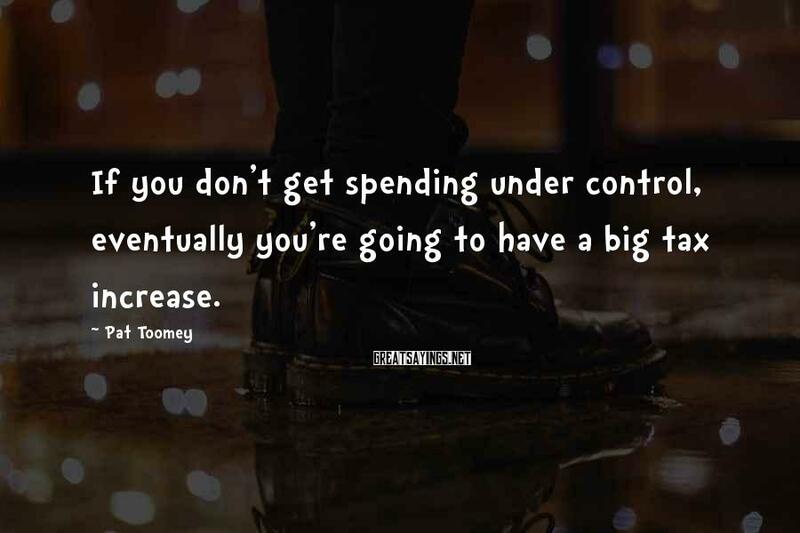 I think that's what creates a demand and keeps an economy moving.